I’m suffering from fatigue. I paint too much grey. The DH army is built now. I mean sure I could add units, and probably will one day, but for now, it feels like everything I need is there. I made a mistake – I had a building frenzy for a game, instead of my usual build a unit paint a unit approach, and as such I now have about 20 things I need to paint without building anything, and I do love to build. That said you will probably understand when I tell you I’ve picked up the Ork bug again. My original ork force, which let’s be honest was basically just the AOBR orks plus a box of boyz and a trukk, was painted incredibly fast so that things would be painted for my first game after returning to the hobby. Consequentially they aren't my best paint jobs. they are painted (again mostly in grey) as Blood Axes, the nobs have some camo but the boyz are all in grey coveralls, and they are a bit dull, and not that well painted. I set my mind to build a small, much more mechanised Ork force, to be used in combat patrol and to add to the existing, in order to create a “two tribes” larger force. I started with what I had, which was another AOBR contingent, and my bitz box, and I’m very keen to hear anything any of you have to say about them, as Orks arent something I’ve done a lot of since I painted my metal “Space Ork pirates” set back when i was younger, and less hairy. Heres the “test boy” converted over form an AoBR (just an arm swap) as I prefer shoota boyz in trukks. HE’s a little rough, as I was torn between an approach that I could do quite quickly vs a paint job I was happy with. I may need to veer more towards “happy” than “quick” than is present here. I removed the rokkits in favour of twin linked big shootas, as I will with the rest of the koptas I’ll be using. again the paint is rougher than I’d like, but it adds a certain charm I think. I went for more detail with this model, and I think it looks okay, but I also went for more close up photography and enlarged “larger than life” it really shows me how much I still have to learn about paint. what looks good from a foot away, can look utterly pants in a close up photo. I also haven't decided yet whether to leave him on the clear base, of give him a terrain base. 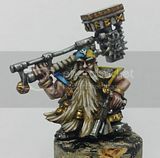 Last update for what is becoming a longer post than I intended, I wanted to share a WiP conversion, adding a buzzsaw, as I noticed a fellow blogger embarked on the same exercise. It still needs details and all the GS work, but it’s coming along. I’m particularly happy with these twin linked shootas. I like the buzz saw, that is going to hurt. If your not happy with the paint job then you will not be happy with you army. This is hard with Orks, you have to paint sooooo many of them. That is why I started dipping my army. I can paint fast and still get a great looking model when I am done. I think your models look great and yes with the up close pictures you can see some little things however who is going to look at them that close up. I would only suggest to watch your paint lines and remember Orcs should not look perfect. Good luck with your army. I will have to say that while their might, and I say might be a few minor details on the models, I believe the overall appearance and customization of the models makes them look very nice. In addition, you are painting yellow, one of the hardest colors to work with and you make it look very good. Dont get down on yourself, many people, including me would love to have your talent. Your yellow is ace! My only advice would be to tone down some colors in order to let a few really shine. Right now you have green, blue and yellow that are all close to the same intensity. If you tone two down, the third will look brilliant. The two most recognizable instances of multiple bright colors I call the "Christmas Effect" and the "Superman Effect". With bright red/green and bright red/blue. Thanks for taking the time to comment guys, it's appriciated. Magilla Gurilla - yeah working on the yellow "formula" is taking soe time, not helped by the fact that some of the yellows I know form back in the day simply arent made by GW anymore. I do like the foundation paints though. and thanks for the nod of encouragement. i do tend to be very critical of my own stuff. Rabidchild - You're absolutely right, and I usually do that. you're talking about the boy more than the kopta right? I toned the blue down a bit, and the green, well I like to use different greens and tans for ork skintones throughout the army, not a single uniform colour, and this guy came out a bit bright. I will say though he's the brightest I'd go. i'm going to throw some purple on the next one instead of blue, at a darker tint too. Thanks for the reply Karitas. Yes I was talking about the boy. The kopta has some bright colors but looks balanced, actually it looks better than balanced, it looks great! I look forward to seeing more of your boys since my wife is starting to look for a color scheme for her orks and seeing what others have done really helps.